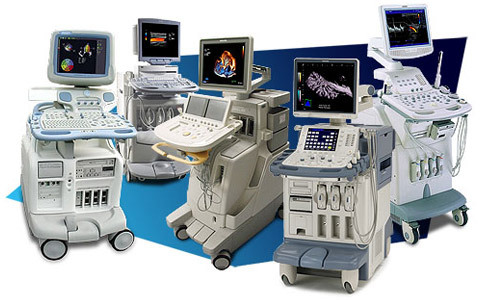 Ultrasound imaging uses sound waves to produce pictures of the inside of the body. It is used to help diagnose the causes of pain, swelling and infection in the body’s internal organs and to examine a baby in pregnant women and the brain and hips in infants. It’s also used to help guide biopsies, diagnose heart conditions, and assess damage after a heart attack. Ultrasound is safe, noninvasive, and does not use ionizing radiation. This procedure requires little to no special preparation. Your doctor will instruct you on how to prepare, including whether you should refrain from eating or drinking beforehand. Leave jewelry at home and wear loose, comfortable clothing. You may be asked to wear a gown. Color Doppler uses a computer to convert Doppler measurements into an array of colors to show the speed and direction of blood flow through a blood vessel. Power Doppler is a newer technique that is more sensitive than color Doppler and capable of providing greater detail of blood flow, especially when blood flow is little or minimal. Power Doppler, however, does not help the radiologist determine the direction of blood flow, which may be important in some situations. Spectral Doppler displays blood flow measurements graphically, in terms of the distance traveled per unit of time, rather than as a color picture. It can also convert blood flow information into a distinctive sound that can be heard with every heartbeat.